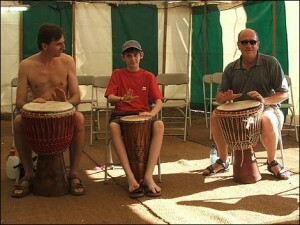 The BBC Dorset site included this photo of Rob and Tom taking part in the djembe workshop at the Larmer Tree festival. 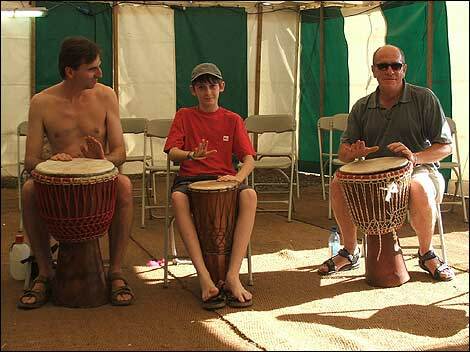 You’ll have to take my word for it, but Rob is actually wearing some clothes. I have no idea who the man on the right is. Had I taken this photo I would have cut him out. But this one is the BBC’s photo.